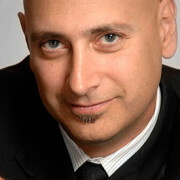 Robert V. Kozinets is a globally recognized expert on social media, marketing, branding and innovation. Besides inventing netnography, he has authored and co-authored over 100 pieces of research on the technology, media, method, brands, and consumers. This includes four books, three of them Sage Method books. Currently, he is Associate Editor of the Journal of Consumer Research and the Journal of Retailing, an Academic Trustee of the Marketing Science Institute, and is on the Board of Directors of the Association for Consumer Research. On the industry side, he has extensive speaking, training, and consulting experience with a range of global companies and organizations, including HSBC, TD Banking and Financial Group, American Express, Merck, Sony, Nissan, eBay, Campbell Soup, and L’Oréal.